Globacom Limited generally referred to as GLO is owned and managed by a Nigerian. It is the first indegenous mobile multinational telecommunications company in Nigeria with its headquarters in Lagos, Nigeria. GLO began its full operations on 29 August, 2003 and has since then gained more strength in Nigeria as well as in other West African countries such as Ghana, Republic of Benin and Côte d’Ivoire. Glo Mobile was the first to introduce pay per second billing options. Glo began 0805 number series and later moved to 0807. Today, Glo has in addition 08015, 08017, 0905 number series as the customer increases. Glo subscribers may reach customer service on a toll free line 121 from a Glo line for assistance or go through the self help service on *121# or you may send a mail to customercare@gloworld.com. 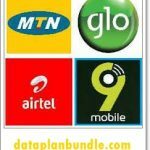 Glo like every other telecommunication company have data plans as well as recharge cards of various denominations. Glo customers are able to recharge their phones via purchase of logical PINs which can be accessed at Glo outlets or vendors. The denominations include N100, N200, N500, N750, N1000 and N1500. It can be recharged with *123*PIN#. Available balance can be checked with #124# and bonus account can be viewed with #122#. You may also recharge your line at the ATM using quickteller services and also on quickteller application if you have it on your mobile device or on their website. You may also choose to recharge your line directly from your bank account. The condition to this is that it must be your registered mobile number with the bank. In view of this, Glo partnered with some banks such as First Bank, Zenith Bank, Ecobank, Access Bank, UBA, FCMB, Union Bank, Keystone Bank, Stanbic IBTC Bank, Unity Bank, Sterling Bank, IBTC Bank, Heritage Bank, Skye Bank and Jaiz Bank. 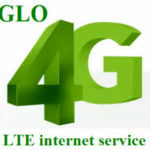 Glo also provided a unified USSD *805# to access the service. 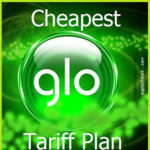 As a Glo subscriber, how much you will be charged for your calls and text messages depends on the tariff plan you place your line on. 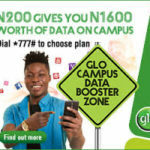 Glo has several packages with divers call rates. 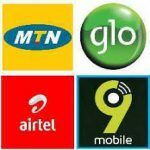 You may click here for Glo packages. Do you really know how much you are been charge for your data when you browse the internet? While many people may wonder how they are charged, here is Glo of way of charging your internet activities. 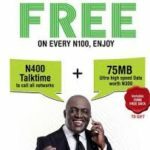 Glo assumes that you will use 10mb for an hour, 2mb per minutes on YouTube streaming and 50kb for each email you check. Henceforth, you may begin to track your data usage.